Has Bitwig ever considered adding the ability to change skins and colour themes? I personally find lighter colours to be easier on my eyes and it sharpens my attention span. Bitwig Studio actually has theming support - there's a default theme file, which describes the looks of Bitwig. You can edit this file ( <bitwig install dir>/resources/themes/default.theme, it has CSS/JSON-ish format), which will most probably alter the looks of Bitwig. The problem is that it is considerably huge (computer generated), and there's no way to switch themes in user interface, but you can tinker around with it (at least with colors). fwiw, I tried monkeying with the default.theme file, and it didn't seem to affect anything in the app. Having the ability to change skins would be cool. 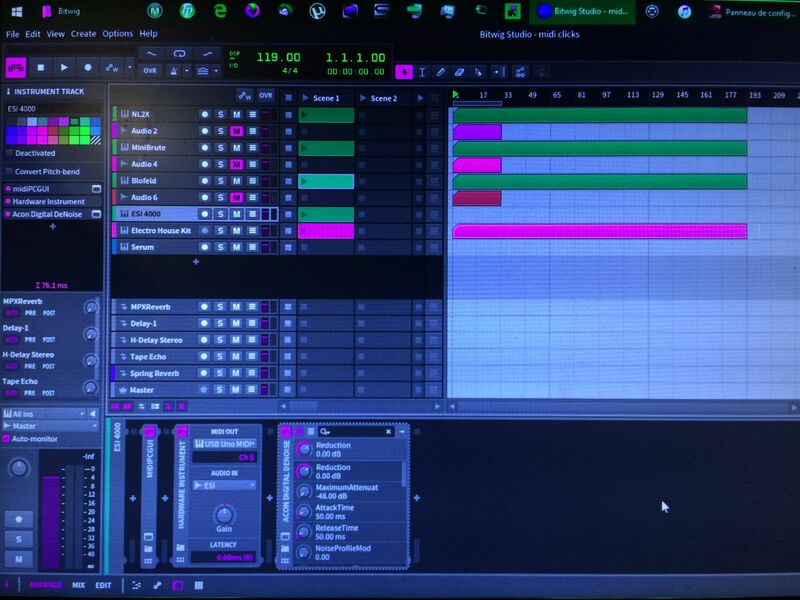 I actually like how it is tbh - it's very easy on the eye & similar to how I customised Ableton. +1 for the rgb sliders that would adjust the tint of the whole interface in just one click drag action. Although I like Bitwig theme for the moment (I think it's one of the best in any DAW I've seen and own) => +1 for RGB sliders. Sure a rgb sliders would be cool. But its not essential. I would love this in a future version of bitwig. Atm it would be much cooler to see the daw grow to be more mature and be full fledged daw before anything flashy added to it.